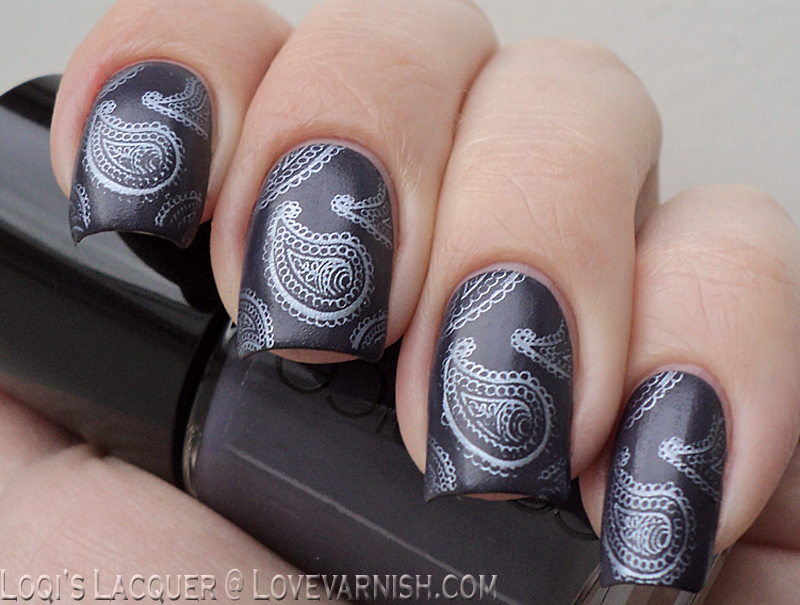 Love Varnish: 31 Day Nail Art Challenge - Inspired By A Pattern! 31 Day Nail Art Challenge - Inspired By A Pattern! First of all: Happy New year! I hope you all had fun end/start of year celebrations and I wish you all a happy and healthy 2014! 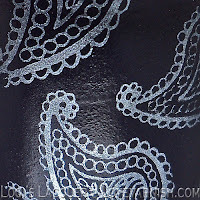 Now for this part of the challenge I picked a pattern I love very much, but never really wear: Paisley. I love how it looks, but often find it a bit 'too much' when used on clothing. So I'll just have to make do with it on my nails! 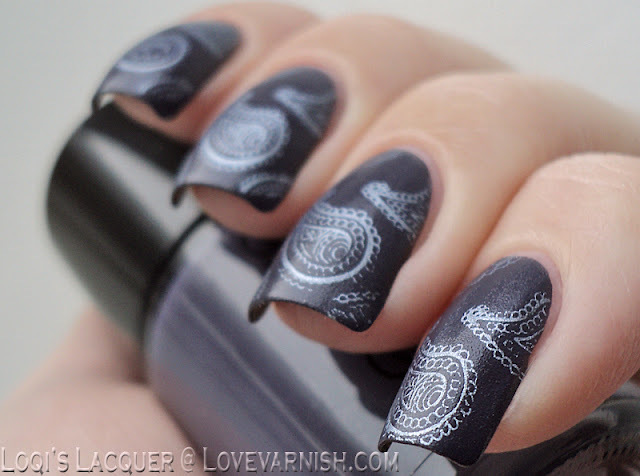 For this manicure I decided to do metallic stamping on a matte base. 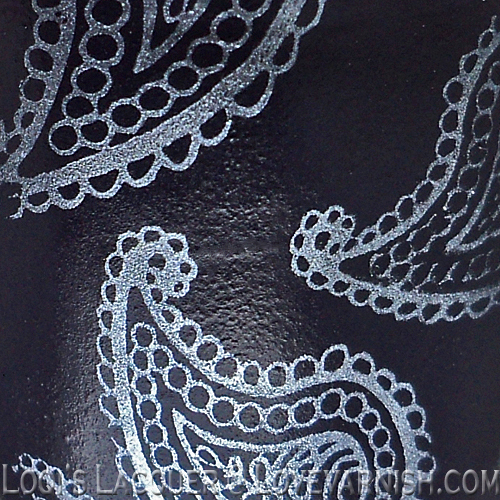 I love the contrast between matte and metallic and thought it would be perfect for this challenge since it puts even more focus on the pattern. The matte I used is Catrice How I matt your mother (love the show, love the polish) and the metallic was Kiko 623 Blue mirror polish. The pattern is from bm315. I hope you guys like it and see you next week! Stay tuned for challenge day 27: Inspired By Artwork! 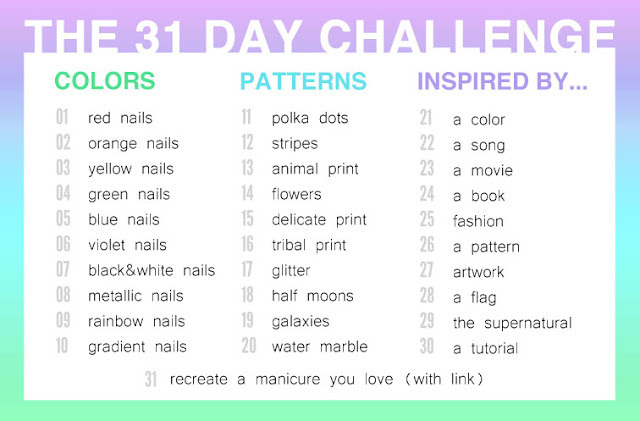 31 Day Nail Art Challenge - Inspired By Fashion! 31 Day Nail Art Challenge - Inspired By A Book! 31 Day Nail Art Challenge - Inspired By A Movie! 31 Day Nail Art Challenge - Inspired By A Song! 31 Day Nail Art Challenge - Inspired By A Colour! 31 Day Nail Art Challenge - Water Marble Nails! 31 Day Nail Art Challenge - Galaxy Nails! 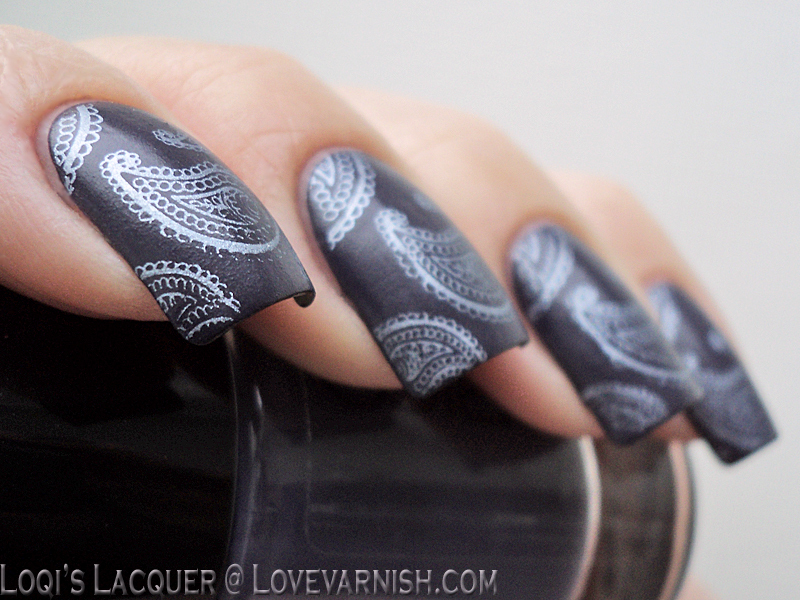 31 Day Nail Art Challenge - Half Moon Nails! 31 Day Nail Art Challenge - Glitter Nails! 31 Day Nail Art Challenge - Tribal Nails! 31 Day Nail Art Challenge - Flower Nails! 31 Day Nail Art Challenge - Animal Print Nails!